The course was successfully conducted by the CMDR COE Mobile Education and Training Team (METT) and offered to the participants the latest developments within the disaster management field though theoretical panels and challenging practical sessions. Numerous aspects of the disaster risk assessment as well as planning and conducting of disaster response operations and missions were trained during the team works as well. Thirty five attendees from SEEBRIG HQ participating nations took part and completed the course. All course learning objectives were covered and the course aim was achieved which was reflected by the course outgoing test results. 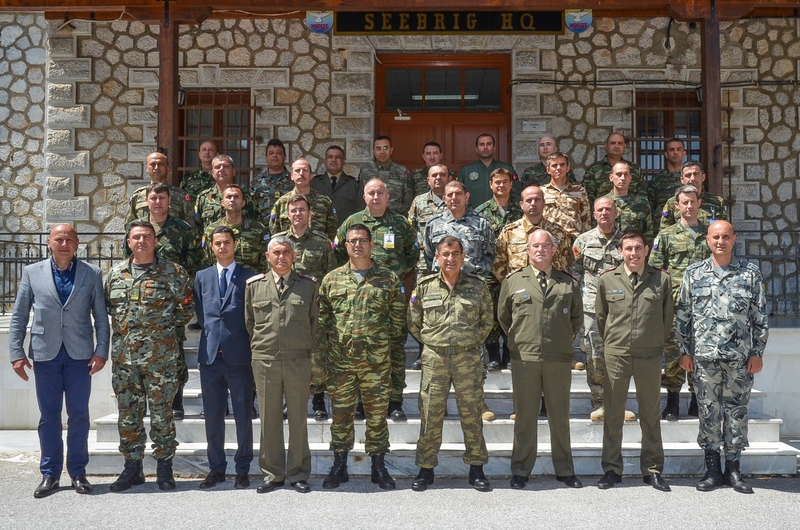 Into their closing remarks, CMDR COE Team and SEEBRIG Commander expressed their will for the continuation of the fruitful cooperation and collaboration into the future.